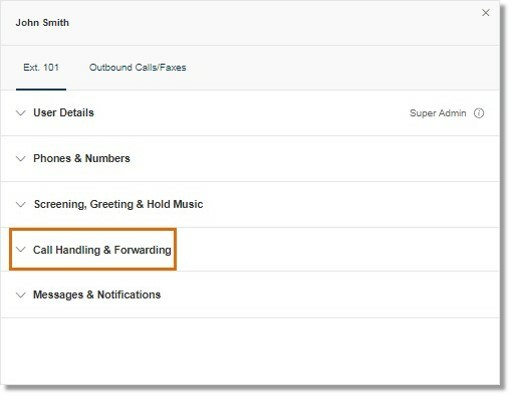 Use Call Handling & Forwarding to determine how calls would be handled when they come in. A Forwarding Number is an alternate phone number that a call gets forwarded to when you are unable to answer using your IP Phone. Follow these steps when adding a forwarding number to an extension. Note: Only up to 10 Forwarding Numbers can be added per User. Log into your Office@Hand online account. Go to Users and select the user you wish to modify. Enter the Forwarding Number on the appropriate field and then ensure that the status is ON. Note: Click Add Phone to add more forwarding numbers to an extension. 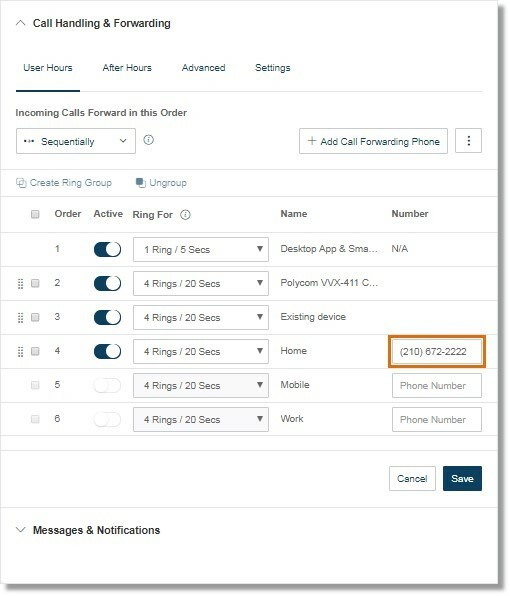 Enable International Calling on your Office@Hand account when adding an International forwarding number. Standard rates apply. Change the number of rings by clicking the symbol and then selecting the appropriate option.